What might be worrying the NO campaign is that as more people move from don’t know to expressing a specific choice they are more likely to go into the YES column than the No one. If this isn’t worrying the No Camp then it damn well should be. What has caused this momentum shift? Firstly, I would suggest the nonsense in the House of Lords has been counter-productive to the No cause. Labour peers have actually been making some decent points and forced some decent concessions from the government especially on the new boundaries but I suspect this has been less significant to people than feeling that they are having their democratic rights impinged by a body of un-elected peers. This will have hardened the hearts of Guardian reader-types especially, who probably don’t actually like AV that much, to swallow the ‘miserable little compromise’ in favour of thumbing their noses at an authority they don’t recognise. However, if I am honest I think the momentum shift started with the mistakes made in the list of ‘supporting Labour MP’s’. It made the No camp look glaringly out-of-touch when it came to the Labour Party and will have reinforced the preception in Labour voters minds that the No campaign really is run by people who are completely remote from the Labour Party and the wider labour movement and its concerns. In other words, it was grist to the mill of the arguments of Labour Yes especially. I have long argued that Labour voters will determine the outcome of this referendum and I continue to believe that. So, what is to be done? I think its time for the labour movement organisations that oppose AV to come together and form their own autonomous campaign to directly combat Labour Yes. Of course, like Labour Yes, it would not be completely separate from the official campaign but it would run off its own steam and produce its own literature. The structures exist to do this with two major trade unions, GMB and Unite, opposing AV and at least one left-of-Labour political grouping, the Labour Representation Committee adopting the same position. Between these three there exists enough organisational ‘raw material’ to form a labour movement no campaign. If we are committed to winning then this may well have to happen much sooner rather than later before the drift in the polls becomes a irreversible slide…. The ‘No to AV’ campaign needs to engage with Labour voters and fast…. Posted in: Labour, Outside Left, Trade Unions. Good piece. Interesting to see how you get on. Thanks for that :). I guess the best answer I can give to that is ‘watch this space’! As someone from a country where AV exists, can you explain to me why you think FPTP is preferable? Thanks for the comment. My main (though not only) concern is the fundamentally undemocratic nature of the preference system. AV is a bit the worst of both worlds because it doesn’t increase smaller parties representation but it does give smaller party voters undemocratic and unaccountable influence as a pressure group which the main parties have to court to win marginal seats. Im with Oz on this, I need more info, I am yet to be convinced AV is a bad thing, nothing great for sure, but is it a step up from first past the post? The only reason I would vote no, is to put one up Clegg who will undoubtedly be strengthened within his own party if the majority vote yes. Having said this, I do wonder if it is a bit like cutting off your nose to spite your face. Thanks for the comment. I think you and Oz are kind of proving another point which I don’t really cover in this piece, that the No Camp has yet to nail a convincing narrative/argument. To answer your question, I feel its worse than FPTP and one of the main reasons for this can be seen in my reply to Oz. As a left-winger in Labour I am very worried that AV will encourage the kind of antics we saw from Phil Woolas, for example. Darrell, do you mean that the little guy whom has no voice in our 1000 years of Democracy, may actually have a view worth listening to with AV? The fact is those racists views are out there and Labour in truth acquiesced to them and it was only in the latter period in office when it finally woke up and fought back. The fact is these racist views have ‘always’ been about, especially in the middle classes who institutionalised them within British institutions but also within the working class. By acquiescing to this crap it emboldened people to promote them and express them publicly. You don’t solve a democratic deficit by introducing another one now do you? That’s what AV does…. Totally sure. Because it introduces a 50% threshold which they are never likely to reach. If you don’t believe me ask Oz how long it took a Australian Green to get elected under AV…as long as it took Caroline Lucas to get elected here! It will legitimise them because in marginal seats Labour will have to chase the second preferences of UKIP/BNP voters. Before you say otherwise, the UKIP and BNP have about 2 million combined nationwide votes compared to roughly 200,000 for the Greens so it will be the UKIP/BNP second prefs that are needed more. It’s true that it has but AV will make the battle against these harder because of the above. That is true. However, I think your wrong about AV starting the process of democratic reform. It will kill it stone dead; that is why the Conservatives conceded it because they know it will kill off electoral reform once and for all. Why are you calling AV electoral reform? I thought your case was that it is a deficit to any reform and that FPTP was best left alone unreformed. I’m not the BBC lol although I think their position is fair enough on one level. Having said that they do fall into the trap of tailing the prejudice that ‘reform’ can only be a positive word. NHS reform and welfare reform are two examples of negative and regressive reform. Actually your also wrong about my position. 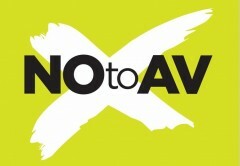 I support AV+ as a transitional demand towards moving away from representative democracy entirely. However, I do think a) FPTP is better than AV and b) a Yes vote will kill further reform stone dead. Since the Lib Dems have betrayed it the only way to win true reform of Parliament is not through a Yes vote in this shabby referendum but through agitating amoungst the emerging anti-cuts/anti-government movement for it to be raised as a democratic demand. It should be noted that the AV system is optional preferential (as opposed to compulsory preferential at a Federal level in Australia). People don’t have to preference and may choose not to. It can be good or bad for Labour but you need to remember that in an optional preferential system, it means that getting a 1st vote is even more important because of the possibility of votes exhausting (a recent NSW by-election had 60% exhaustion of votes). You can run a just Vote 1 campaign and encourage votes to exhaust. In Australia, the Liberal-National conservative coalition has been undone by 3 cornered races where a just Vote 1 campaign has been run. My concern is a lot of the debate about AV is based on pure speculation rather than examining how it has been worked in a real world example such as for state elections in Australia. Also as an ALP left-winger, I also don’t have any sympathy for getting Greens in Parliament. As we’ve seen in Australia, they aren’t our allies, they are the equivalent of your pre-Coalition Liberal Democrats. Thanks for that. Of course, that is true but then we are up against the mind-bending argument that we should change to AV because it is basically FPTP anyway. Sadly, as well as pushing this line the Yes camp also tries to present it as some kind of wondrous miracle which will lead to a mini-revolution and help small parties which it wont. Something of a contradiction. I’m not concerned about narrow party-politicals here. What does concern me is the effect on the left and I see that as being bad indeed because I see the big winners as being UKIP and the BNP in terms of the influence they will gain over larger parties. Is it not the case that One Nation ran an effective campaign in Queensland using their preferences to eliminate immigration moderates in the 80s? I foresee something similar happening here and this will be a disaster from the left. In fact, its like most disasters on the left self-inflicted because we couldn’t tell our backside from our elbow and unite to oppose this monstrosity. Fair enough. I have just cited one lol. The Greens here are a bit more socialistic I think in all honesty but fair enough. It’s clear then that no one actually understands what they’re talking about regarding AV. It’s a improvement but not a revolution. One Nation did not exist until the mid-90s. One Nation did win a swag of seats at the QLD state election in ’98 but those seats were mainly at the expense of the conservative rural National Party which was in Government. Labor was then able to form government with the support of an independent. One Nation’s preferencing policy was to preference against incumbent members more than anything else. When One Nation’s leader ran for a federal seat (she was elected as a Lib but her seat was abolished and redistributed), everyone preferenced against her (compulsory preferencing) and put One Nation last. She had a higher primary vote and under FPTP would have won. In this scenario, One Nation lost because of AV. It is another demonstration that the issue of preferences is about context. I’ll give one final example about who preferencing benefits being more about the political landspace at the time. Preferencing was used for nearly half a century by the anti-Labor parties (DLP, Nationals and Liberals). They were the ones who introduced it. However, over the past decade or so, particularly with the rise of the Greens, it has benefitted Labor. Antony Green has a good post looking at it and how it has changed. Parts of the Greens are socialistic (they tend to be ex-Labor members) but they get more support because of the advocacy on socially liberal issues rather than being socialistic. You can just see how the Greens candidate for the seat of Balmain for the upcoming NSW election is positioning himself as a ‘blue’ Green. Thanks for that. Well try telling that to the Yes camp who often promote AV as if it was STV. Having said all that just because it was an improvement in Australia doesn’t automatically make it so here. What strikes me about One Nation is that the situation is different here with both the BNP and UKIP able to attract considerable amounts of working class support. The pressure they brought to bear would thus be as much on Labour, which already has a problem with adoption of racist attitudes on the immigration issue as it is without AV making that worse and legitimising it even further as a necessary electoral strategy. What is more, democratically speaking why should these people have their votes counted again and again while Labour, Conservative and Liberal Democrat supporters only get their vote counted once? It is cheapening some votes at the expense of others; something I know FPTP does but to claim AV is better in this regard is wrong. 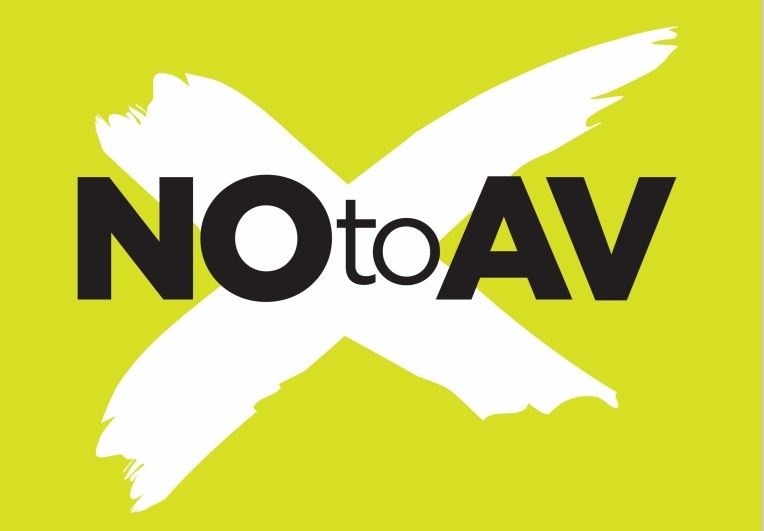 Since the introduction of AV would be a victory for the Lib Dems it would also be a strategic blow against the anti-government and anti-cuts movement. It would also strengthen the Lib Dem leadership against internal revolt and this again would damage the left. As was said at the LRC a Yes victory in this referendum would be a blow to the working class and AV isn’t worth that. Also, our Greens are different because the role you sketch for them has traditionally been fulfilled by the Liberal Democrats so they have been further left in my eyes. Thanks for the links. I don’t think they really change the overarching strategic situation for the left in the UK though. Incidentally, would probably also further fragment a weak and divided labour movement as well as it would encourage splinters from Labour. Also doesn’t change the fact that a Yes vote will kill electoral reform stone dead which is exactly what it is designed to do. Neither does it automatically mean that things will become worse. Just so we’re clear. One Nation got 8% of the national vote at the 1998 Federal election and 22% at the QLD state election. They got a lot of rural votes but also working-class votes in the outer suburbs. There was massive pressure and debate about whether or not to preference and/or deal with One Nation especially considering preferences almost play a role in the STV elected Senate. Both major parties put them last and One Nation crumbled as a political party. The fear about the role of BNP/UKIP directing preferences and leading to more dog whistle politics is overstated. Firstly, they would need a lot of people out there handing out and helping to direct people’s preferences, not to mention working on the GOTV. Consider a seat such as Oldham East using the by-election as an example of how the vote will go and apply AV to guess what would have happened. Around 50% of the vote is likely to exhaust, 40% if they actively preference. Labor would still win even if English Democrats, UKIP, BNP and the Tories ALL actively preferenced the Lib Dems (so the 60% of the remaining vote transferred and ALL of it went to the Lib Dems, no preferences at all to Labour which won’t happen). Fundamentally AV allows is to eliminate wasted votes. It’s also wrong to assume that Labour supporters won’t be the beneficiary of AV especially if Labour comes third in a seat. What There are seats that are Independent vs National in Australia and Labor’s votes can help get that Independent up instead of a conservative anti-union National. The result will always depend on the circumstances but in principle, AV is better than FPTP and that’s what the debate should be about. In other words, still a Coalition, but in May last year, there would have been a real mathematical possibility of a stable Lib-Lab Government, following the wishes of the majority of the electorate. I note you say ‘overstated’ but not illegitimate. Nothing you describe is beyond their capability and no they wouldn’t necessarily because they can use their websites and other means of distribution. It does not eliminate ‘wasted votes’ it merely replaces them with wasted preferences. Namely the wasted preferences of the major parties because they wont get eliminated (so its not true that smaller parties will benefit from these people second prefrencing them because these preferences either wont be cast or wont be counted). A so you admit tactical voting takes place under AV then? Regardless why would I as a Labour voter who should be supporting the labour movement support some random independent unless they had splintered off from Labour and weakened and divided the movement which I dont want? I think we need to move beyond this notion the Liberal Democrats are progressive. They are not and are anti the labour movement and I will say any coalition with them would make a government half Conservative. If the social liberals want to be on the side of progress they should rally to the historic cause of the movement and fall behind that banner but even they do not see the wider labour movement and the working class as in any way significant. Another good explanation of AV from Antony Green and also the differences between how it works in Australia and what is proposed for the UK. It also explains why the rate of preferences may be even lower than the 40-50% seen for OPV in Australia and why the double counting critique is wrong. Thanks for the link but I would say that this is yet another contradiction that the proponents of AV get into. First, they say the preference system will enhance democracy and then they say well don’t worry about double counting because people won’t do it anyway…so once again the question becomes which one is it? I have just come across this discussion & found it quite interesting. To declare my bias upfront, I am an unabashed proponent of AV in favour of FPTP (although my preference would be for proper PR). You mentioned above, that one of the dangers you see with AV is that it would leave the main parties chasing the votes of the extremist parties- I actually see the AV system as effecting the exact opposite. At the moment, an extremist party (or any party, for that matter) can afford to concentrate on peddling extremist policies, secure in the knowledge that they don’t need to persuade (or even appeal to) the majority. There, under the FPTP system, the BNP candidate got in with less than 28% of the vote. I find it hard to believe that many (if any) of the second preference votes of either the LibDem candidate or the Independent candidate would have gone to the BNP. AV, unfortunately but not surprisingly, won’t right all wrongs of the current system; I am not even convinced that it will be all that more likely to result in coalitions (the Labour and Conservative parties are still the largest & likely to dominate under AV too). However, it would result in a system where a result like the Coalville one, where the successful candidate commands the support of fewer than 30% of the voters, would no longer be possible. In order to succeed, a candidate would at least have to have the tacit support of at least 50% of the voters (well, those who cast their ballots, anyway). It does mean that you can either just cast your first preference vote, or you can list a number of preferences, with the aim of keeping a particular candidate out (one of the elements of the current FPTP voting system that irritates me most, is the huge amount of election literature stating “only X can beat Y in this constituency”- essentially asking voters to cast their second preference, because their first preference would be a wasted vote). Apart from Coalville, there are two other high profile examples of how a different voting system might have different effects- the US presidential election in 2000, where some argue that the majority of Nader voters would have voted Gore, had Nader not stood (or indeed would have had Gore as their 2nd preference in an AV system), which would have changed the outcome of the election. The other example is the French presidential election of 2002- there, the left vote was so fragmented between the various Socialist, Communist, Centrist, etc. parties, that none of those got into the run-off (Lionel Jospin polled 16.18%, as compared with 16.86% for Jean-Marie Le Pen & 19.88% for Chirac). In the second round, when Chirac stood against Le Pen, Le Pen only managed to increase his share of the vote very marginally to 17.79%, thus showing that extremists may have a very solid & loyal following, but are unlikely to attract many 2nd preferences- Chirac, on the other hand (disagreeable though he was to many on the French left), got 82.1% of the vote- not, because he was such a popular candidate, but rather because the French electorate had the option of showing their second preference and choosing the “lesser of two evils” (to use a cliche). Now, admittedly the example of the French presidential election would have worked even better, if Le Pen had actually won more votes than Chirac in the first round (& would have become president under FPTP)- however, that would not have been inconceivable. AV actually provides a more nuanced system than just the 2-round run-off vote, and if one looks at the distribution of the vote in that particular election http://en.wikipedia.org/wiki/French_presidential_election,_2002 & makes an educated guess as to how 2nd or 3rd preferences might have been redistributed, then in all likelihood, the final contest would not have involved Le Pen at all. I suspect that I probably won’t convince you, and by the looks of things, the proposed reform looks as though it might well fail. I happen to think that that is a huge shame; not because AV would “make MPs work harder” or because it would lead to more coalitions (I actually happen to like coalitions), or because it would give more weight to the LibDems (again, not something I’m opposed to- a party that gets 23% of the national vote should, in my view, have more than 9% of the seats, but that’s not going to be solved by AV, for that one would need PR), but rather for the very simple reason that AV would make it necessary for the successful MP to be accountable to at least 50% of his constituency, rather than just the largest minority group.